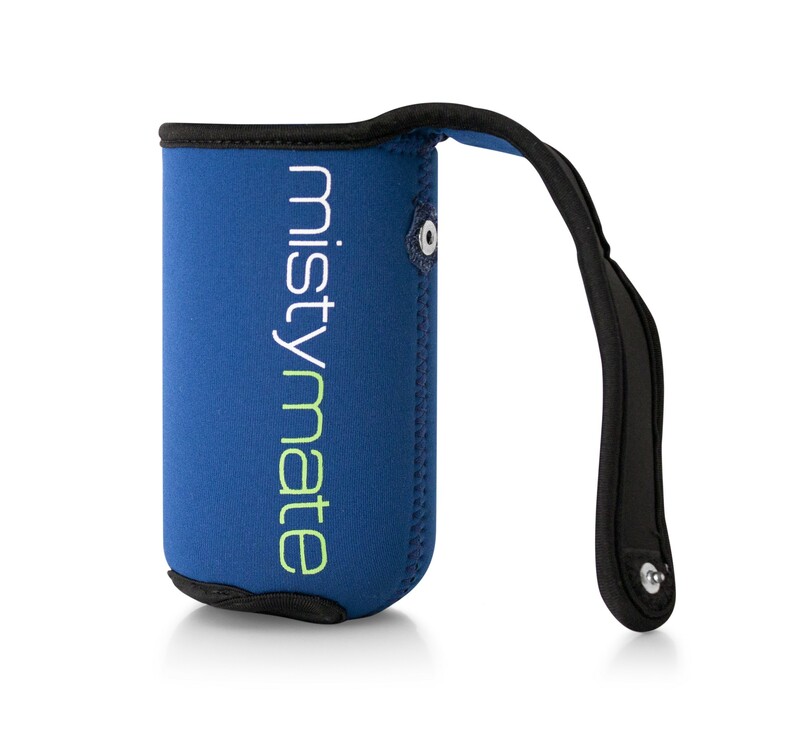 Extend the life of your Misty 8 with MistyMate’s high-tech neoprene sleeves. Fashion-forward casing completes the ultimate sports product. Extend the life of your personal mister with MistyMate’s high-tech neoprene sleeves. Constructed of durable foam-core neoprene for a fashionable look and a super-soft handfeel, this “second-skin” is the perfect complement to the Misty 8 personal mister. The sleeve also allows the personal mister to attach securely to your person when you need hands-free operation.